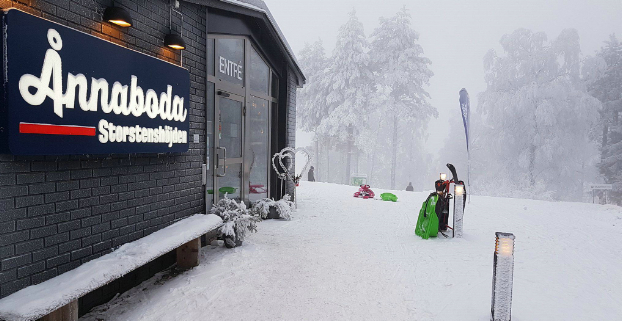 Wonderful Ånnaboda, all year long! 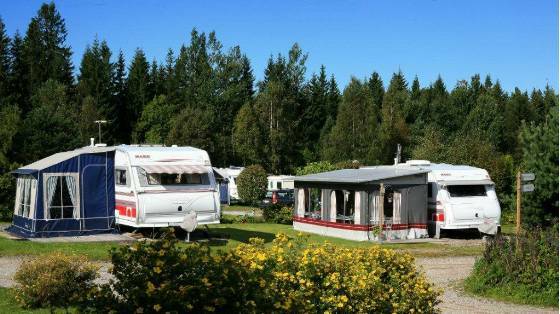 Ånnaboda camping site is situated in Kilsbergen, an area with many excellent walking trails, and great fishing in local lakes teeming with brown trout, char and rainbow trout. Fishing permits and maps of the local walking trails are available from the site office. 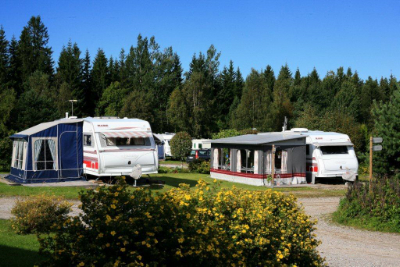 The camping site is next to Lake Ånnabosjön, where guests can enjoy bathing and fishing. A 2.5 km long walking path with disabled access runs around the lake, with tables, benches and barbecue areas along the way. In winter, visitors can ski around the lake (subject to snow conditions). There are a couple of artificial snow ski tracks at Kilsbergen Conference and Lodge. A sledding slope is next to the restaurant. From 16.00 on Saturdays, guests have access to ladies and gents saunas. The site has 327 caravan/motorcaravan pitches with electric hook-up. A 2.5 mm cable is required. Tent pitches are also available. A small 2-person chalet and a 4-person chalet is available. Pets and smoking are not allowed in the chalets. The following sizes of LPG bottles are for sale at the camping site: PA 11, P 11, PC 10 and P 6, PA 6, and PC 5. In Garphyttan, a town around 4 km from the camping site, there is a COOP Konsum supermarket, a restaurant serving lunches and a pizzeria. There are 3 facilities buildings at the camping site. Ladies: 3 x WC, 2 x showers. Gents: 2 x WC, 2 x showers. Sink, hotplate and oven, and microwave oven. Chemical toilet emptying point at the end of the building. Ladies: 2 x WC, 2 x showers. One disabled WC with shower. Cooker and oven, microwave and sink. Chemical toilet emptying point at the end of the building. Dog shower and bench for fish gutting. Ladies: 7 x WC, 3 x showers. Gents: 5 x WC, 3 x showers. One disabled WC with shower. Kitchen with sink, hotplates, oven, microwave, table and chairs. Laundrette: the cost of an access card for the laundrette facilities is SEK 35 for 100 minutes. We would gratefully ask guests to help in the sorting of waste. A skip is located to the east of the camping site. Please ask for directions. Dogs and cats are welcome at the camping site, but must be kept on a lead. Dogs must be walked outside the camping area. The camping site must be kept silent between 23.00 and 07.00. Camp for a week and the seventh day is free.